Arrival ® - The Hits Of Abba…. The No.1 International Multi award winning Abba show voted &apos;Best Abba Show&apos; & ‘Most Authentic Abba Show’ 2018. 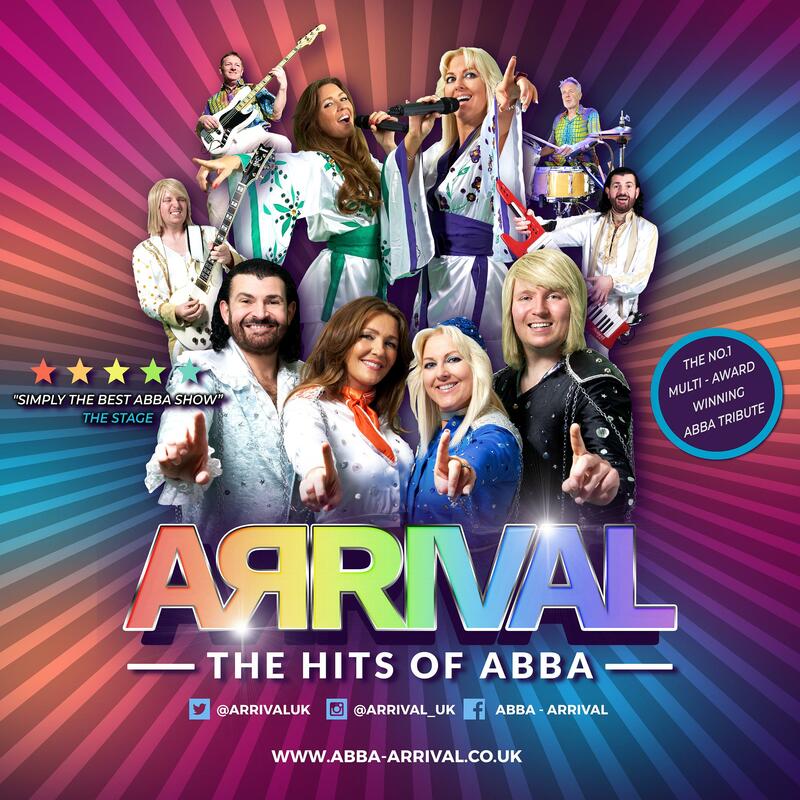 Arrival ® The Hits Of Abba is the show that every Abba fan has been waiting for! This No.1 International multi-award winning hit show, voted 'Best Abba Show' and 'Most Authentic Abba Show' 2018 and for the last 6 years running, has toured internationally, and has sold out in over 28 different countries worldwide delighting audiences of all ages. A full 2 hour extra-abba-ganza with a winning formula of original Abba harmonies, authentic replica costumes, stunning vocals, an accomplished live band and interactive video projection throughout. This show is not to be missed! - 'Simply The Best Abba Show Bar None'' ... The Stage.